Cancun and the Riviera Maya are known for being some of the most excellent locations in the world for relaxing beach vacations. With pristine white sand beaches and vibrant turquoise waters it may seem hard to see why you would ever want to leave your lounge chair and explore anything outside of your resort; But in the thick jungle awaits adventure and excitement. 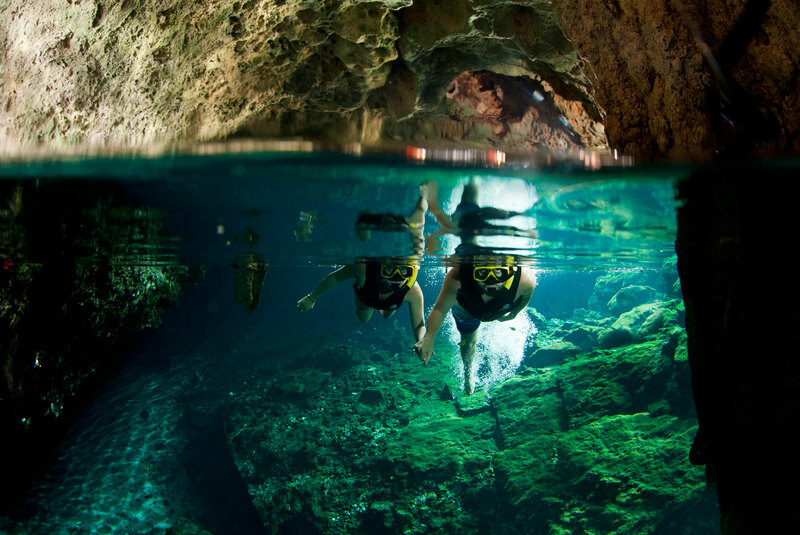 Join us and discover the parks and places that provide extreme adventure vacations in paradise. 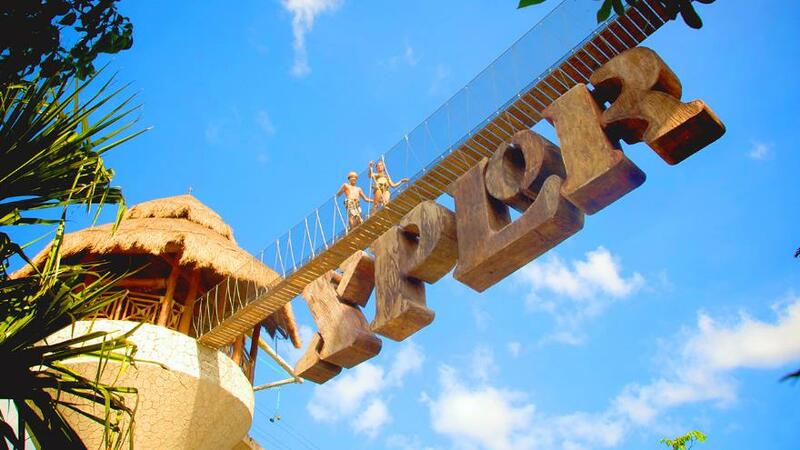 One of the most exciting and popular adventure parks, for good reason, is Xplor. 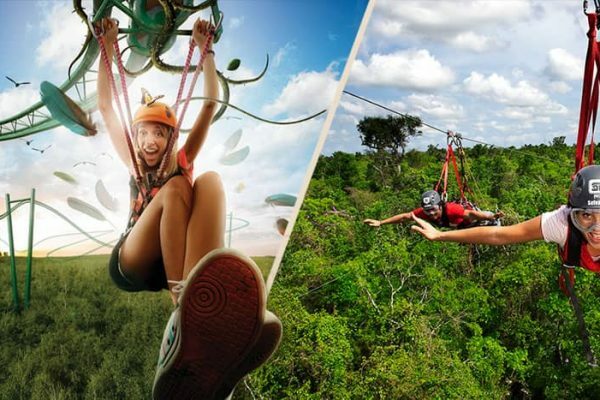 Located in the heart of Playa del Carmen this maze of zip-lines, underground rivers, and ATV roads, will get your heart racing and blood pumping. The park will provide you with everything you need to have the complete adventure and will even feed you delicious food offered by buffets and restaurants before you continue on your journey. If this doesn't sound daring enough then we have something even better to offer you: Xplor Fuego. Experience all of these exciting attractions after dark and walk along paths lit by torches to your next activity for the ultimate thrill. Located off of the highway is an adventure park that you will want to spend all day at. Selvatica offers ATV tours where you can race off the beaten path on your very own Blazing Polaris, 10 different zip-line circuits featuring 5 different types of zip-lines, their very own cenote where you can take a much needed dip to cool off after an adrenaline filled day, bungee jumping off of trees that we promise you wont forget, and Aerial SkyWalk Bridges that you wont want to look down from. For over 20 years this park has been giving people unforgettable extreme adventure vacations to those looking for heart stopping activities. If you are looking to add even more excitement to your day, then you can't miss our on the Human Roller-Coaster- Tarzania! For those looking for an adventure and a bit of culture along the way, look no further than Alltournatives Emotions Park. Zip-lines, ATV rides, cenotes, Mayan ceremonies with traditional clenses, visit one of the homes of the first settlers of Playa del Carmen and even enjoy a traditional Mayan lunch. The best part about this park is that you can choose to enjoy all of these activities and then return to your resort or continue on to Playa del Carmen and enjoy the charming "Quinta Avenida" filled with shops, restaurants, and attractions. If you happen to be one of those people that don't want to leave the resort to get everything you're looking for then stay at Hacienda Tres Rios and take full advantage of the Nature Park. 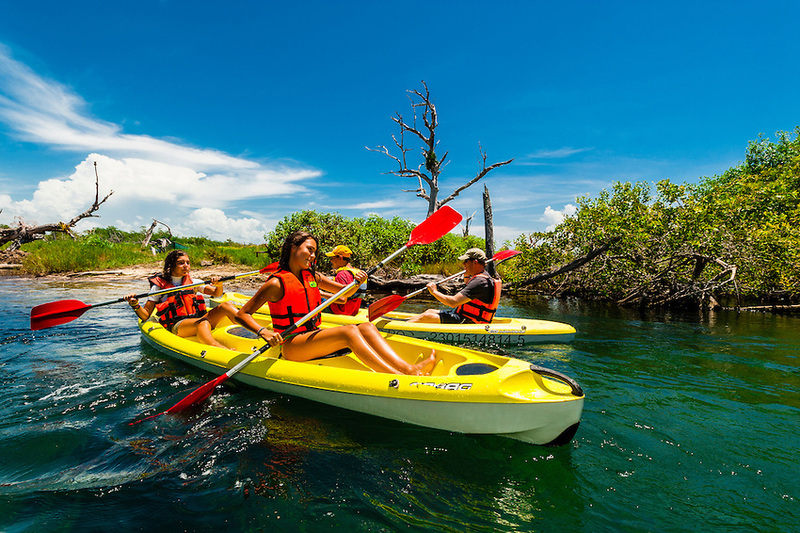 Enjoy a bike ride through the jungle, snorkel from a cenote to the ocean, explore the Jungle River from your very own kayak, or experience your senses like never before with the Sense Adventure Experience. Still looking for more? We've got it! Take our Nursery Tour and learn about endangered plants and discover over 120 different species, sail the Caribbean Sea on one of our Hobie cats, take a behind the scenes Kitchen Tour with our head chef to see how your meals are prepared and come to life, or enjoy a Segway Tour and enjoy the Nature park, beach, and Nursery all at once! We hope that these parks will meet your expectations and get you as excited about your vacation as we are to help you plan it. Get your adrenaline pumping now by reserving your vacation with us!